Birmingham Worker and the local branch of the CPGB-ML salute the life of Derek Robinson, aka “Red Robbo”, famous communist trade unionist who died this morning. Derek Robinson, played an important role throughout his life in defending the working conditions of Birmingham workers at British Leylands car manufacturing plant in Longbridge through a period of concerted attack on working people which eventually culminated in the devastating attacks waged by Margaret Thatcher in the 1980’s which were exacerbated by the betrayal of numerous struggles by the Labour party, not least the heroic Great Miners Strike of 1984. Get in touch if you’d like to travel with us to this great event! 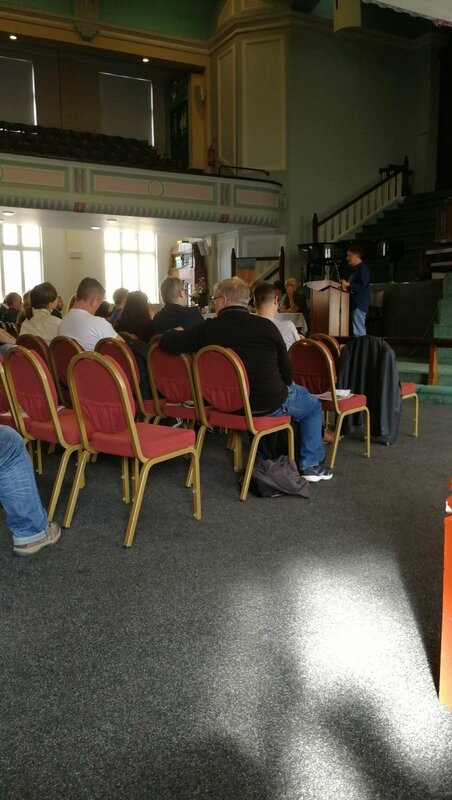 Comrades attended a successful meeting today of the Blacklist Support Group held in Coventry. This group has done important work highlighting the underhand state infiltration & wreckage inside the Labour movement, particularly the barring of committed trade unionists to employment. As the law stands, blacklisting as such is still not unlawful. To get redress, it is necessary for the blacklisted worker not only to prove that he has been blacklisted but that his inclusion on that blacklist is the sole reason he is turned down for a job – a well-nigh impossible task, especially given the legal resources commanded by the companies. And in any case, how can you seek redress if you don’t know you are on a blacklist in the first place? As of autumn 2012, only 194 of the 3,213 workers known by the Information Commissioner’s Office to have been blacklisted were aware of the fact. Nor is this surprising, since you can only find out if you are on a blacklist by phoning up the ICO and asking them. Some might not unreasonably fear that asking the question is itself asking for trouble. Labour in government had the chance to ban blacklists in 2009. It failed to do so for the same reason no Labour government in history has ever done: because Labour is just as much a servant of the bourgeoisie as are the Tories against whom it rails. Surveillance of workers did not begin with Kerr’s racket. The Consulting Association began its career in 1993 by paying £10,000 for a database of blacklisted names. The source of that database was the Economic League, of which Kerr was himself an employee. The League was founded in 1919 to root out communist and left-wing organisations and individuals. Working closely with the British Empire Union fascists, it played a key role in attacking the general strike in 1926. Its founder had led the Naval Intelligence Division of the Admiralty through the first world war, and the chairman of the BBC sat on its council. Through the 1960s, 70s and 80s, the League ran a comprehensive blacklisting service. Despite being regularly exposed in the press of the time, it seemed to enjoy a charmed existence, until the heat from a parliamentary inquiry in 1990 finally obliged the company to formally dissolve itself – only for its work to be taken up again by Sir Robert McAlpine and the Consulting Association. The bourgeoisie can have every confidence that Kerr’s work will now be taken up again by other hands working to an identical agenda – until such time as the workers’ movement frees itself from the suffocating Labour embrace and takes meaningful action to stop it. Just how corrupting an effect social democracy has upon the trade-union movement is clear from the evidence now emerging of collusion between some unions and the Consulting Association. According to Construction News, “Evidence has emerged that suggests union representatives may have ‘liaised’ with contractors to blacklist workers from construction jobs. But an investigation by Construction News has uncovered documents that suggest union officials may also have provided information to the blacklist. Cleaning up the unions must begin by breaking the link with Labour. Celebration with curry & beer! 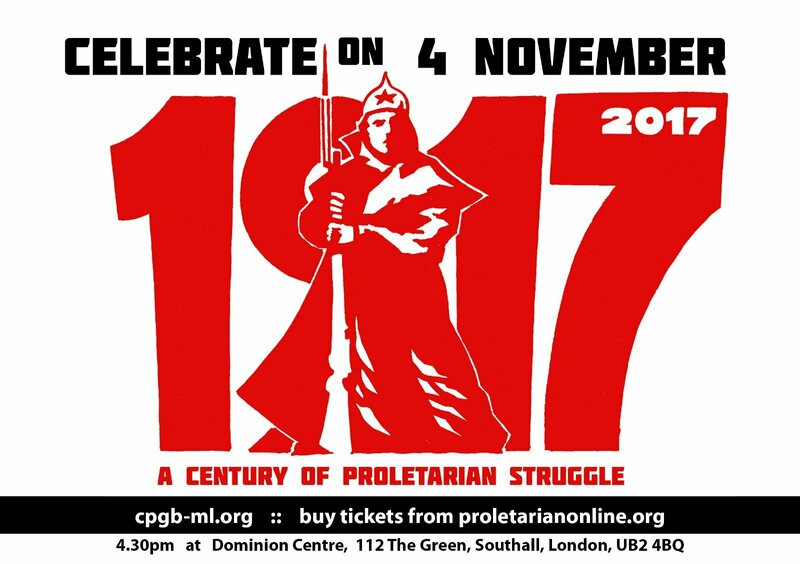 If you’d like to come to this event Birmingham CPGB-ML are leaving by coach from our offices on November 4th, 1pm. 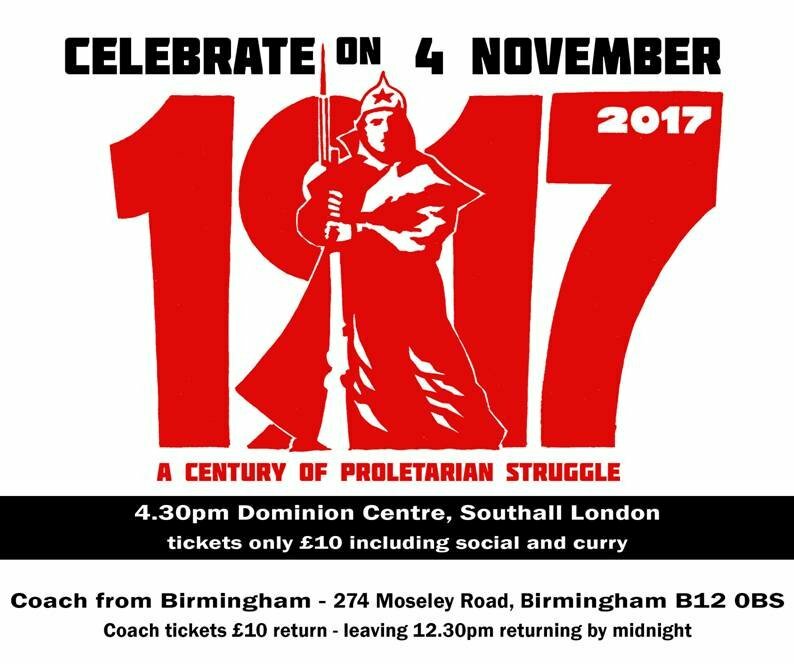 Email birmingham@cpgb-ml.org for a ticket £10.